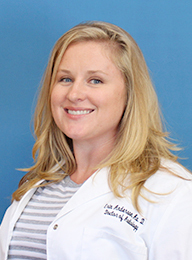 Dr. Anderson completed her undergraduate coursework from the State University of New York at Geneseo in 2004. She received her Doctorate of Audiology from Nova Southeastern University in 2008. Dr. Anderson has experience in a variety of clinical settings such as ENT practices, private audiology practice, hospitals and the School System. Dr Anderson has served as a Clinical Supervisor for third and fourth year students in the Doctor of Audiology Program. She is currently a fellow of the American Academy of Audiology and a member of the American Tinnitus Association. Dr. Anderson relocated to the Treasure Coast in 2014 and enjoys the beach with her rescue dog Harry, the downtown Fort Pierce Farmers Market and all the natural beauty of the river.